Flexible Integrated Energy Device (FIED), a wearable recharging device proposed by CSIRO, has been selected for additional funding by the Australian military. 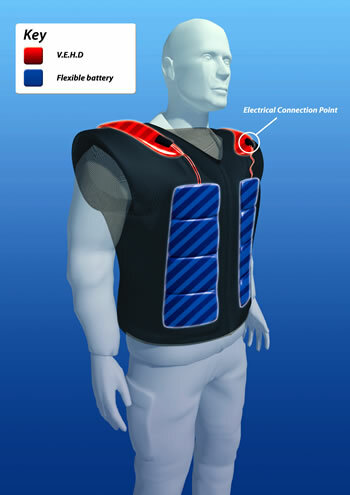 The device will have three components; advanced, conductive fabrics as part of the battery, vibration energy harvesting device and a rectifier/power management system to power soldiers’ electronic equipment. "It will look like an ordinary garment but have extraordinary capabilities. As the person wearing the garment moves, the vibrations they create can be harvested and channeled into recharging the battery or powering plug-in electronic device or devices." Via A$4.4 million for clever clothing.